It’s here! 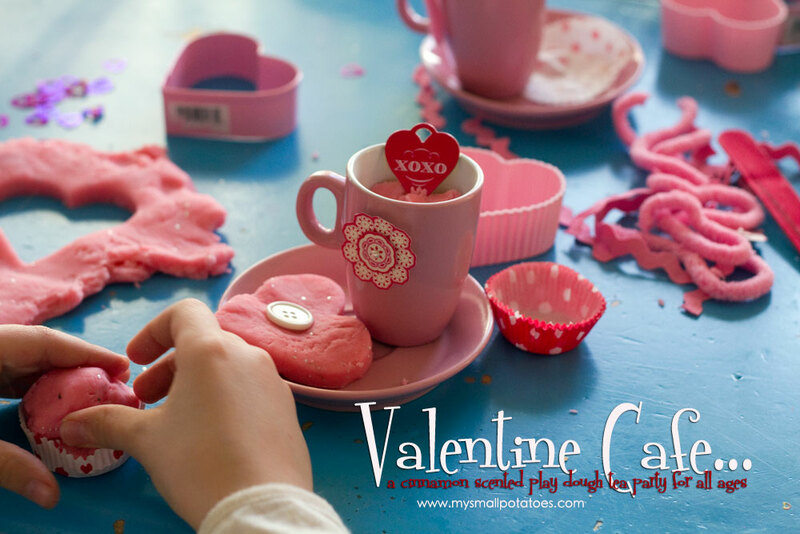 LOVE DAY!! 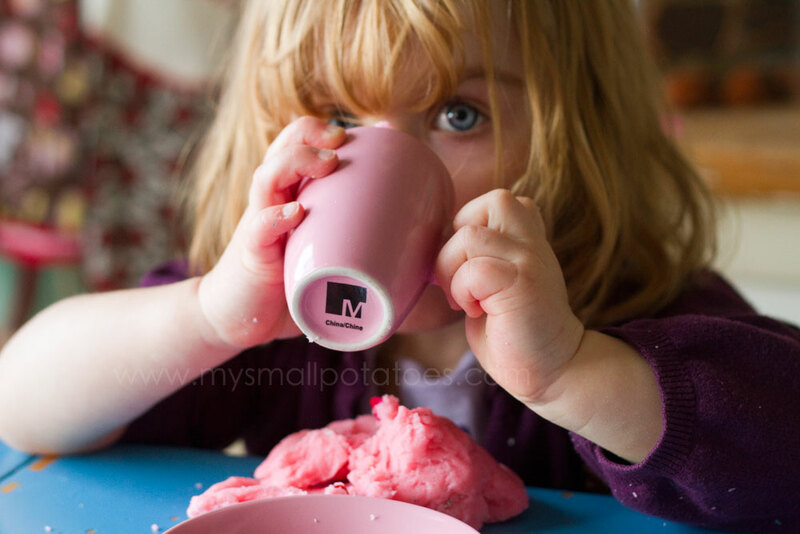 And we’ve been baking and pouring cups of cinnamon tea for all of our small customers! 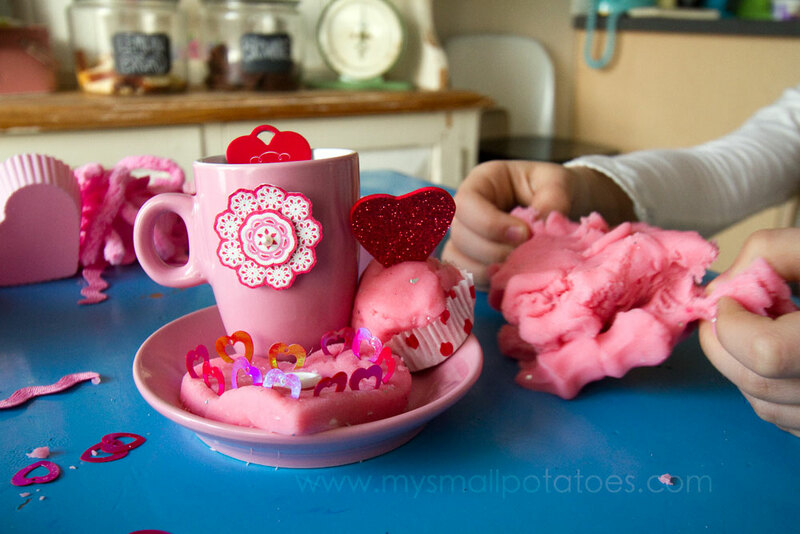 The smalls have been playing in our Valentine Cafe and they LOVE it. 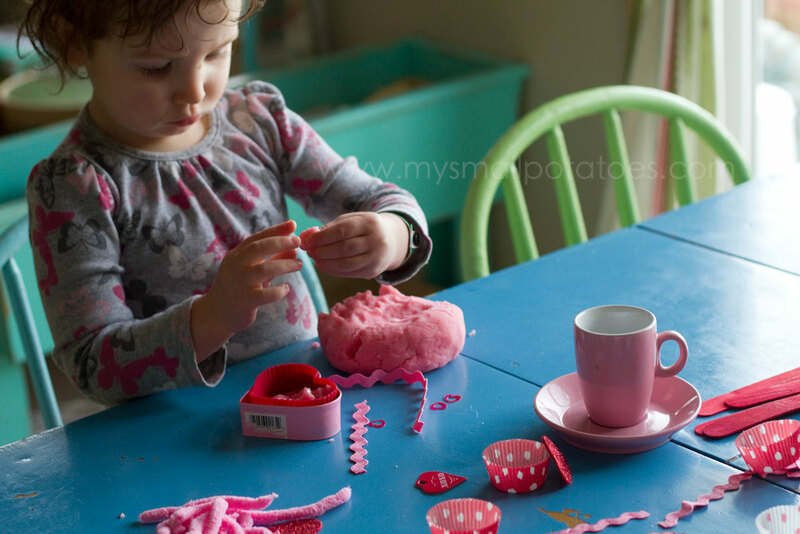 To start up your own cafe at home just make up a batch of your favourite play dough and colour it pink! 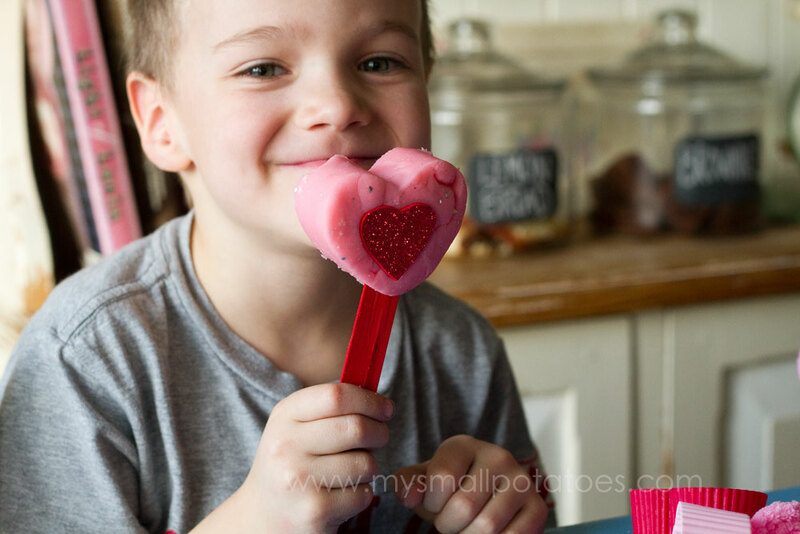 Here is a link to OUR favourite recipe. 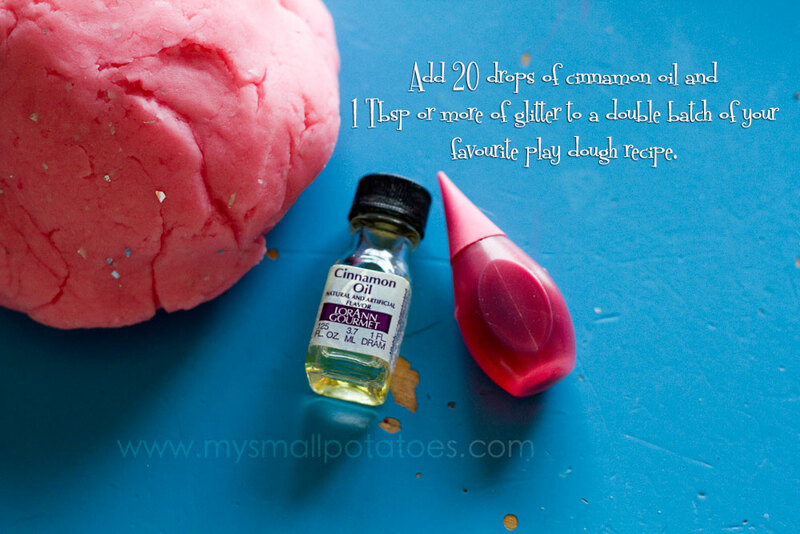 To add a bit of sensory fun and aromatherapy, add some cinnamon oil and sparkles! 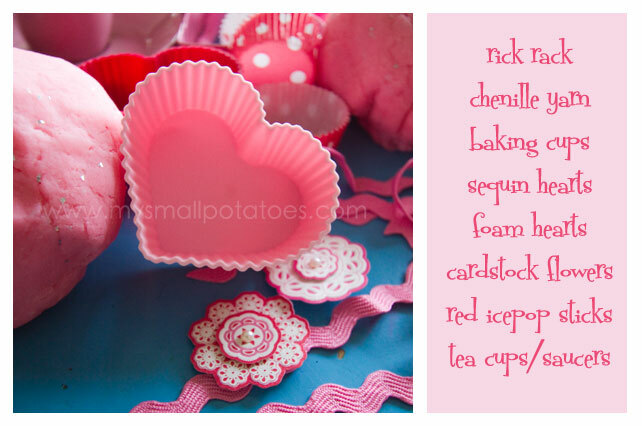 For decorating cakes and tarts and making cake pops and tea, we suggest the following materials… Now you’re ready to start baking! 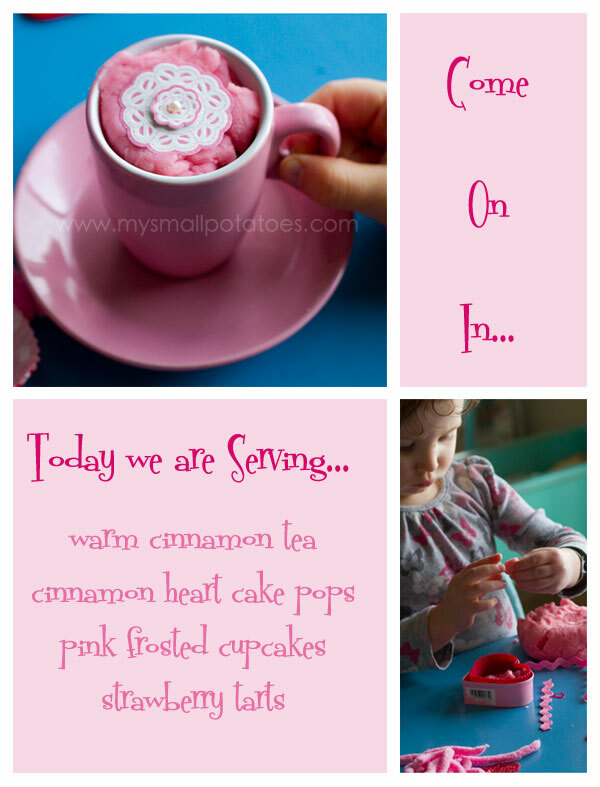 Mmm…lots of pink icing… And the tea…oh the tea. It smells so yummy! 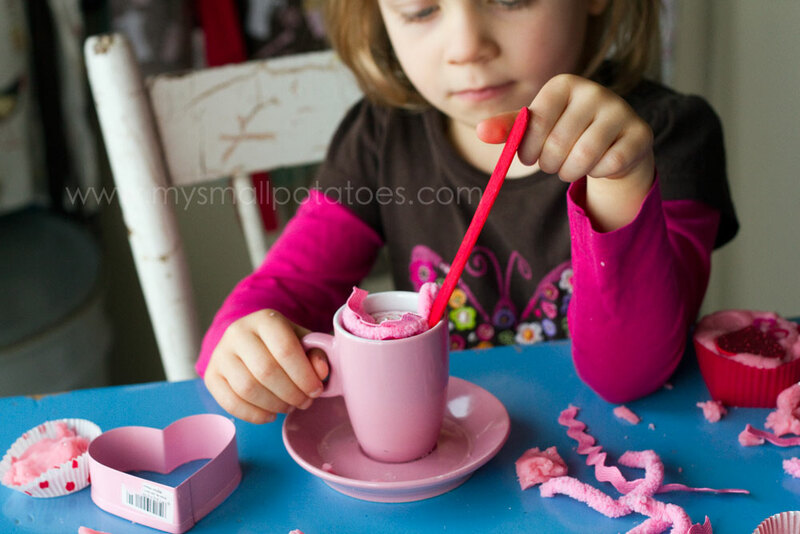 Don’t forget to stir! And if you’re really lucky, you’ll get the House Special Cinnamon Tea Extravaganza… The stir sticks can also be used to make cake pops, just like my Mr. Pancakes made… This is the plate I ordered, which Miss Coco kindly made up for me… The most beautiful cup of tea and assorted treats I have ever had! Love it! 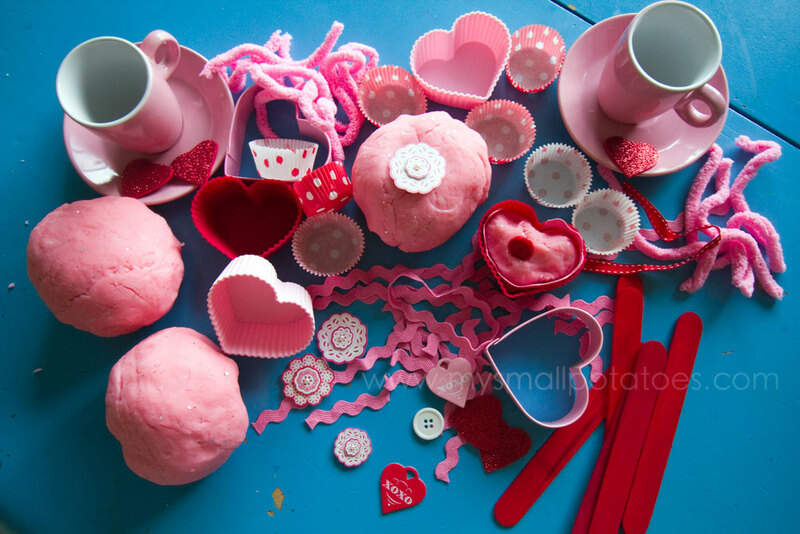 My little girl is so into pink, I know she’d have a ball with something like this. 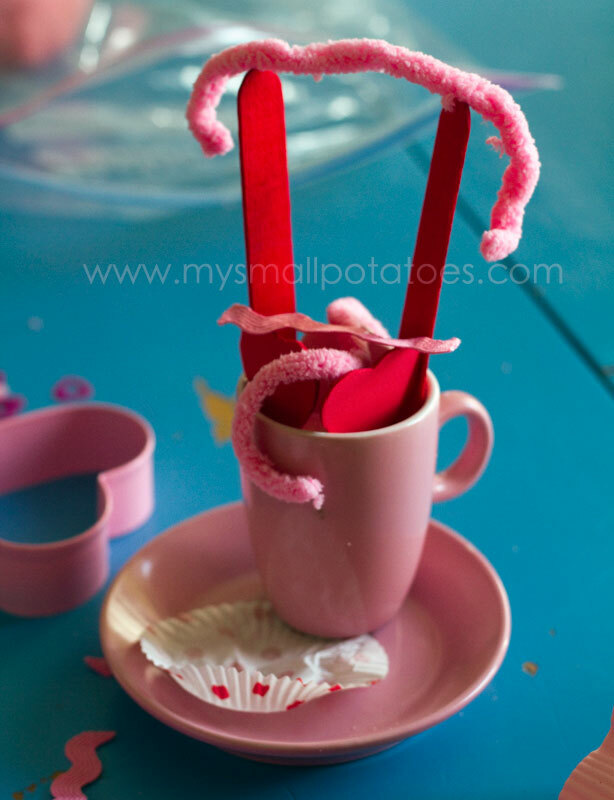 Looks like your Valentines Tea was wonderful. 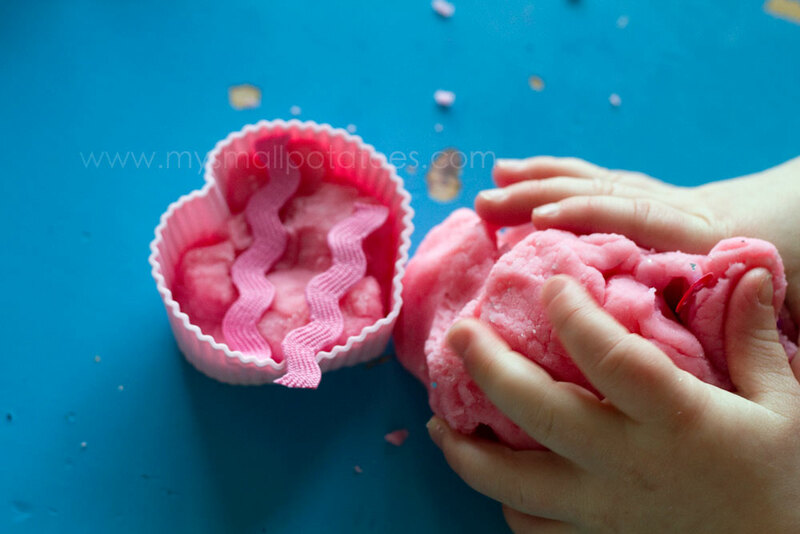 I am so going to try your play dough recipe!